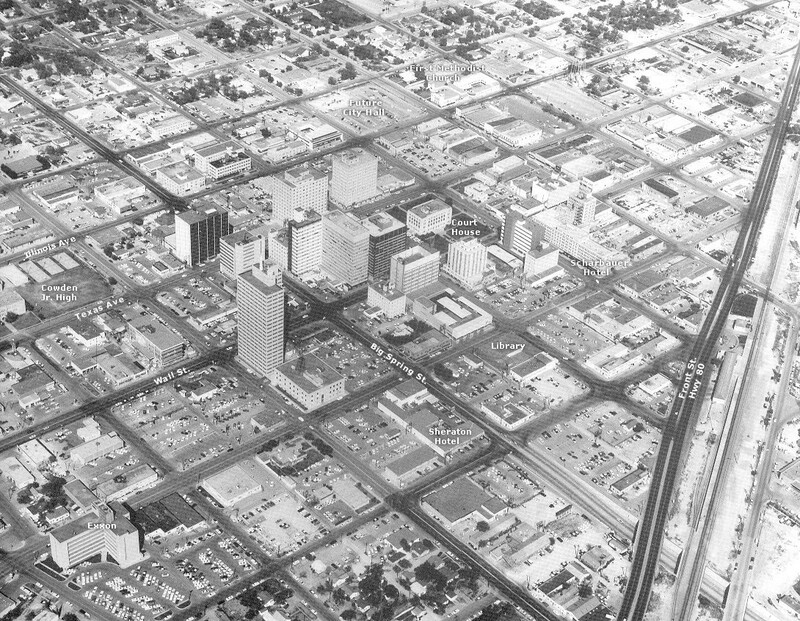 Midland, Texas in 1961, shortly after the period when many of the "tall city" office buildings were constructed. It is interesting to note the large number of cars parked in the lots around downtown, but this was the day when all the companies, large and small, were located downtown. The next wave of office building contruction did not come until the "big boom" of the late 70's and early 80's. Photo courtesy of David Lindemood and historic assistance provided by Wilbur Yeager.